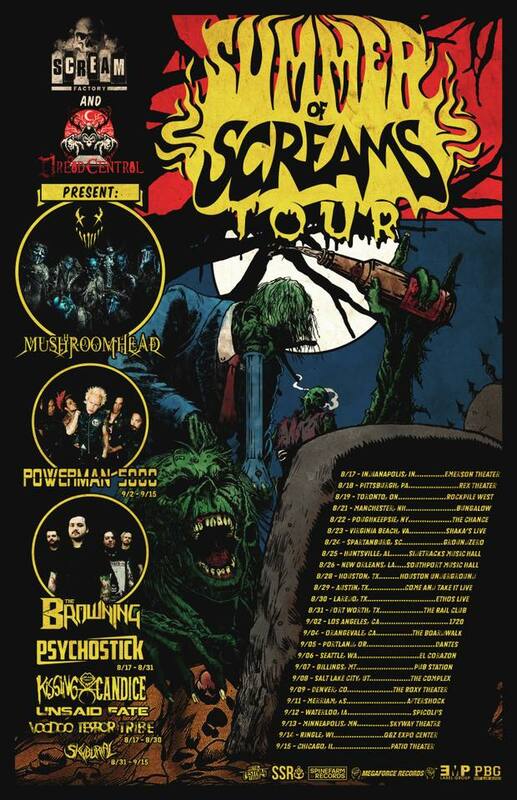 Alternative Metal act, Mushroomhead are preparing for their biggest US tour so far. The band will be headlining Summer of Screams Tour with Powerman5000, The Browning, Psychostick, Kissing Candice, UnSaid Fate, Voodoo Terror Tribe, and Skyburial! Mushroomhead have released a month ago music video for "We Are the Truth". Watch the video below!